Zach Norvell, the 6-foot-5 redshirt freshman, has emerged as a star in the tourney so far. Fans who made the trip from Spokane to Boise’s Taco Bell Arena spent a lot of time with nervous hunger. Thankfully, Gonzaga had snacks. 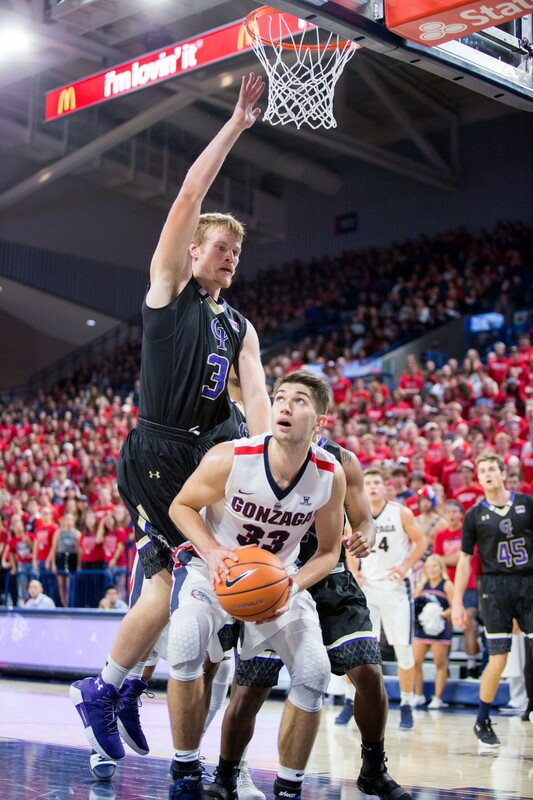 The freshman saved Gonzaga’s season in each of the team’s two games during the opening weekend. 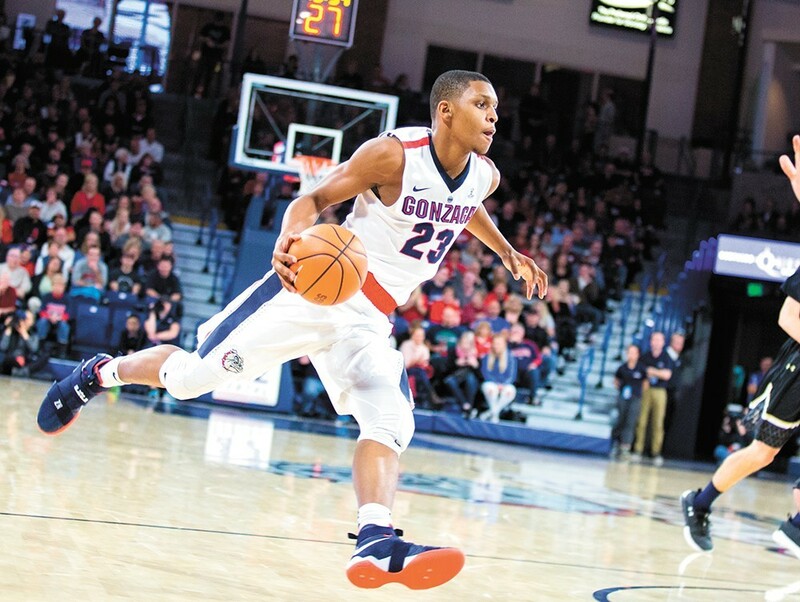 On Thursday the Zags found themselves in a tight battle with UNC-Greensboro. Late in the game the Spartans made a run and took the lead, as well as all of the momentum. It looked like an upset was likely. And then Norvell, who was one-of-seven from long range at the time, knocked down the game-winning three pointer with 21 seconds to play. On Saturday, against an Ohio State team that followed the Spartans’ game plan and used a second-half comeback to steal momentum from Gonzaga, Norvell did a lot more than just make one big shot. He made a bunch of big shots. With a career high in points (28) and rebounds (12), Norvell again willed Gonzaga away from the jaws of defeat. His numbers were impressive, but it was what didn’t show up on the box score that was most important in ensuring victory. Norvell may be one of the team’s few extroverts, but he’s far from the team’s only big-time, clutch performer. Which is what makes Gonzaga so dangerous this year in the big dance. Against Ohio State on Saturday it was Norvell who led the way, while point guard Josh Perkins scored a relatively ho-hum 10 points. But when the Zags played the Buckeyes earlier this season, it was Perkins who had the impressive outing. The junior guard drained six three pointers and opened up the Buckeyes defense so that Johnathan Williams, who led the game in scoring with 21 points, could go to work in the paint. Williams followed that initial Ohio State game with a monster performance in a loss to Florida. The senior forward went for 39 points and 12 rebounds and cemented his position as the Zags’ No. 1 option on offense this season. If opposing teams try to lock down Williams, or Perkins, the Zags have guys like Norvell who step up. In the West Coast Conference tournament earlier this month, it was Killian Tillie. The sophomore from France led Gonzaga to three straight wins with lights-out three-point shooting. Tillie was named West Coast Conference tournament MVP as a result. At other times, notably in both games against arch-rival Saint Mary’s, it has been Rui Hachimura. An electric option off the bench, Hachimura’s raw athletic talent and unrelenting motor can overwhelm just about anybody. His 25-point, four-block performance on Saturday was just as instrumental in taking down Ohio State as Norvell’s, if only less flashy. When Florida State takes on Gonzaga in the Sweet 16 this Thursday, the Seminoles will be presented with a pick-your-poison scenario for which there is no antidote. Sounds like Richard Sherman might be joining Michael Bennett on his way out of Seattle. But hey, at least Ichiro is coming back, right? Wednesday was an emotional rollercoaster if you're a fan of Seattle sports. Seahawks Michael Bennett and Richard Sherman are on their way out? Ichiro Suzuki is back with the Mariners? 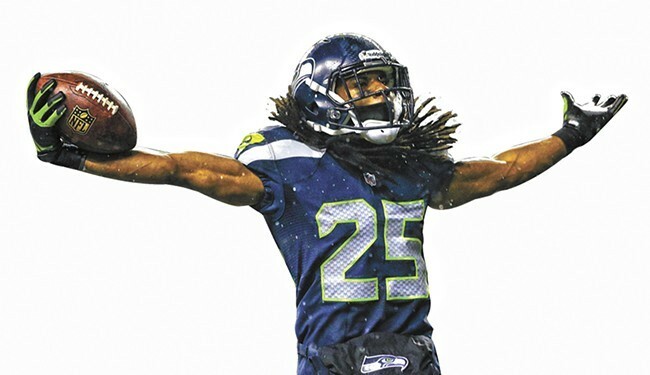 “The ‘Legion of Boom’ Seahawks Go Quietly Into the Night” reads Sports Illustrated’s headline. How ominous and depressing. I’m not a giant sports nerd, but I definitely felt a sinking feeling in my stomach when I saw news of Bennett’s trade to the Philadelphia Eagles and Sherman’s rumored departure. Laura Stockton and the Gonzaga women's team are going to March Madness. The Gonzaga women's basketball team followed up a dominating regular season in the West Coast Conference with a championship in the conference tourney. The Bulldogs beat San Diego Tuesday afternoon 79-71 behind an epic performance by junior forward and WCC player of the year Jill Barta, who scored 32 points on the day, including going 10-for-10 from the free throw line. Zykera Rice added 17 points, Emma Stach dropped in 15, and now the team awaits Selection Monday to find out who they'll play in the first round of the NCAA tournament, and where. The Zags were down five after the first quarter, but exploded for 25 points in the second to take the lead for good. This championship is the team's eighth WCC championship, and fourth in six years. The Zags will find out their next opponent and their March Madness seed on the selection show on ESPN on Monday, March 12. 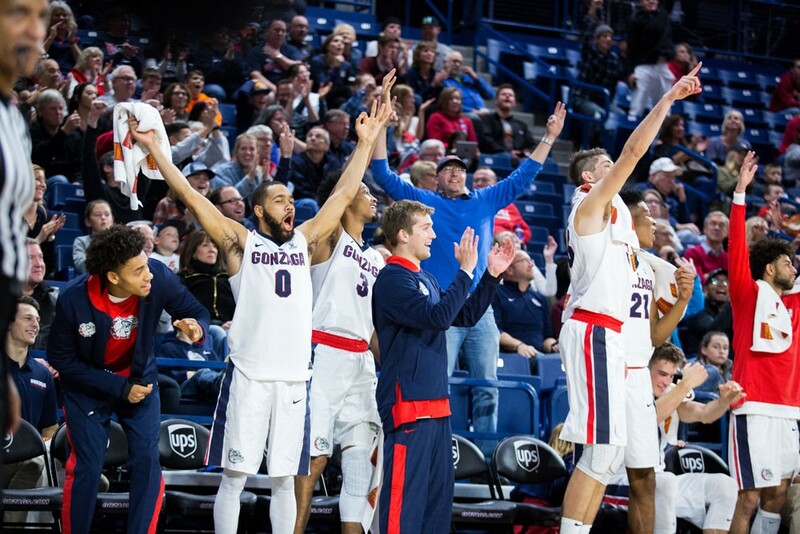 Two wins on the road this week and the Zags will REALLY have reason to celebrate. Namely, another WCC regular-season title. 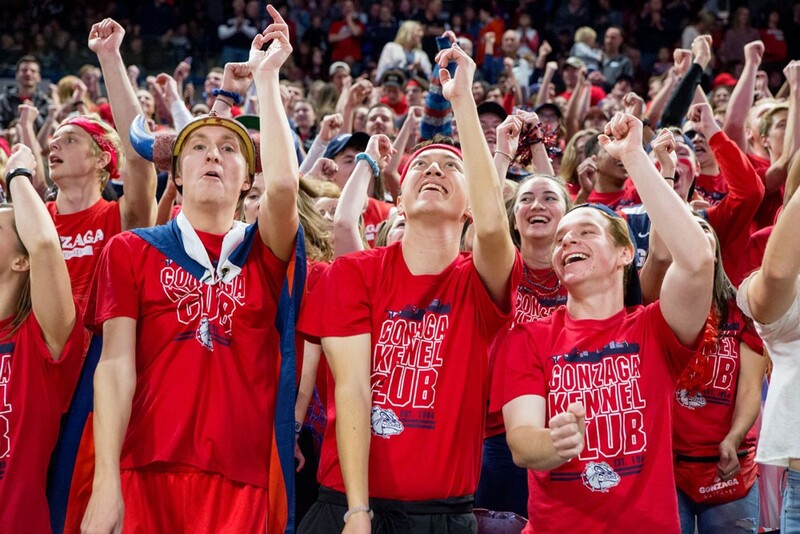 On the morning of Saturday, Feb. 10, Gonzaga was a game behind archrival Saint Mary’s for first place in the West Coast Conference standings. Quite a bit has changed in the nine days since, and Zag fans should be cautiously optimistic entering the final week of the regular season. 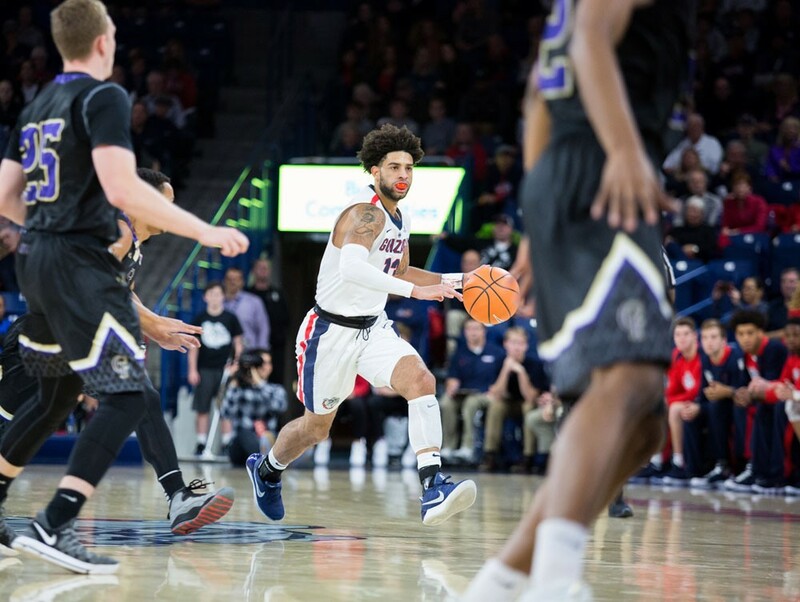 When Gonzaga defeated Saint Mary’s 78-65 on that Saturday evening, the Bulldogs moved into a tie with the Gaels atop the league standings. Each team had just one loss in conference play: Saint Mary’s won in Spokane and Gonzaga won in Moraga. The Gaels, though, were still in control when it came to the race for the top seed in next month’s WCC tournament. But then, last Thursday, Saint Mary’s lost to San Francisco. And with that result, the only team capable of stopping Gonzaga’s run of conference championships from extending to six straight years became none other than Gonzaga itself. 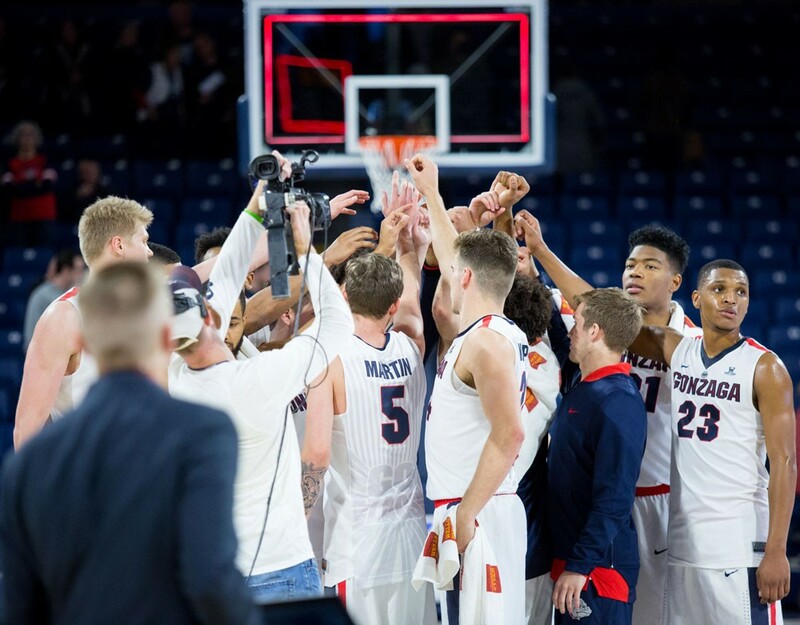 A road trip to Pacific and Saint Mary's this week could decided if Gonzaga wins another WCC regular season title. Early February is usually smack dab in the middle of our slog through winter. But lately, things have felt a bit off. It’s been unseasonably warm, with the weather feeling more typical of early November or March. Inside, on the hardwood, it feels out of season as well. 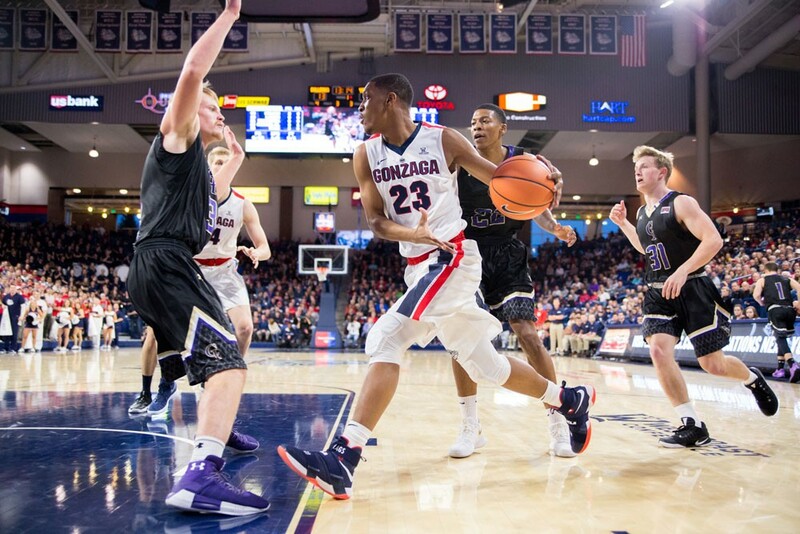 January and February, when Gonzaga has to face the generally weaker competition of the West Coast Conference, are usually filled with blowout victories rather than tough tests. But right now Gonzaga is in the middle of a four-game stretch that looks much more like those they see in November and March than what they get in January or February. It’s a welcome change, and a pivotal part of the season in which the Zags will define who they are. The Zags hadn’t beaten a good team since December. If only because they’ve faced just one or two such teams since the start of conference play. But now, with the Zags on the home stretch of the regular season, their schedule is getting a lot more brutal. “We got through two games like that this weekend,” Few said. Killian Tillie and his fellow "bigs" are vital to the Zags success this season. It used to be that Gonzaga was known as the school of guards: Stockton, Hall, Santangelo, Dickau, Stepp, Raivio, Pargo, Pangos and Bell. But it appears the front court is where the Zags' bread gets buttered as of late. And that narrative stayed true in the last week's matchups versus the Portland Pilots and San Francisco Dons. One night a barn burner and the other a nail biter, but ultimately both decided by the advantages Gonzaga had in the paint. Sophomore Killian Tillie had a helluva week, dominating the glass with 43 points and 15 rebounds over the two games. The Frenchman showcased the aerial and ambidextrous skills that has put him on scouts' radars. It's tough sometimes for players to assert themselves and find a groove in an offense and rotation as diverse and packed as Gonzaga's. How do you hunt your play when you're weaving through minutes and possessions with up to 5 other guys? Perhaps the emergence of Rui Hachimura could be part of Tillie's quiet nights offensively, but credit to the big for consistently racking up rebounds and effort plays. 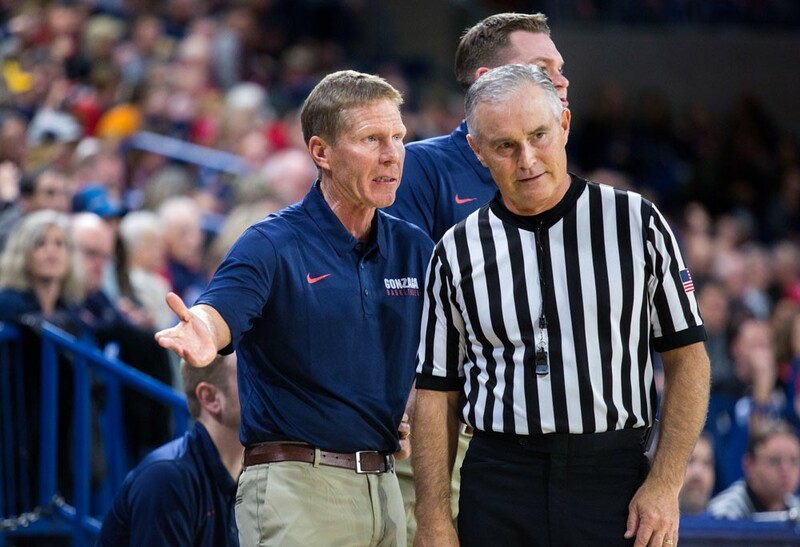 And the nightly carousel of success is due to Coach Mark Few and the players finding the best way to attack opponents' mismatches when they're presented. The Pilots didn't have an answer for Tillie, just like the Dons couldn't figure out a way to stop the bleeding against Tillie, Hachimura and Johnathan Williams.